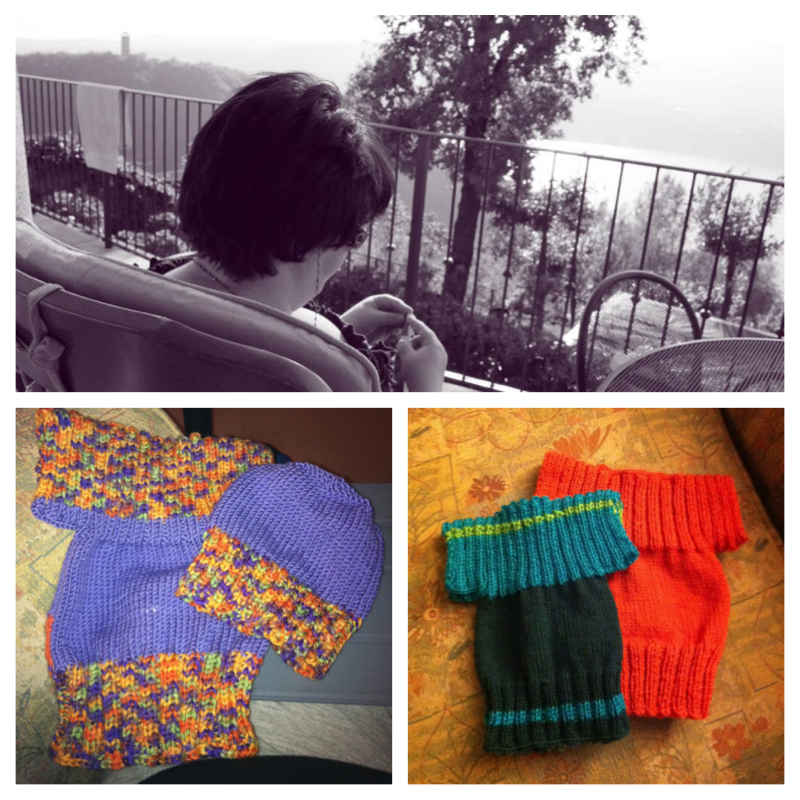 I am 29 years old and I enjoy knitting! "Auntie Clare, How can you knit? I wish I could knit like you"
She's 5 and easily impressed but it felt nice. During my second period of long term absence from work my key worker tried to get me to focus on activities that had nothing to do with dietetics. My life at that time revolved around working, there was a big deal of guilt that I was not able to work and if I could do other things surely I should be at my work? I had no hobbies. Not just as result of my depression but because I had dropped anything that didn't involve developing my career. I wasn't sure what I 'liked' to do. What did I enjoy doing? Seem like the hardest question. I remember my granny teaching me how to knit when I was little. Both of my grans were great knitters. I had dabbled but lost interest somewhere along the way. Knitting seemed to fit the criteria of an activity non work related. It was a hobby, right? It was something I liked to do? It was something I could do on my own. I started off shaky. Watching tutorials, getting books and supplies. The perfectionist in me ripped up many projects. I would start, make a small mistake or something didn't turn out right and I would rip it all out and wind it back up into a ball of wool. Like I had never been there. I did finish some small projects. Some scarves, a teddy, some xmas decorations and some baby stuff for my friends who were pregnant. Some were fine, some didn't turn out so good! As usual as my mood lifted and I went back to work I stopped doing the things that I enjoy. 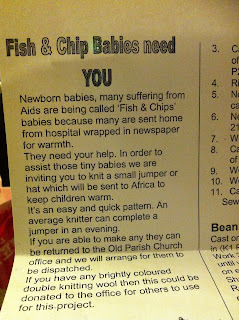 Then recently at work a colleague mentioned that she was knitting for the Fish & Chip Babies. Yes, the I did say the Fish & Chip babies. Some newborn babies, have no blankets or clothes and are being wrapped up in newspaper to keep warm and have been affectionately named 'the fish & chip babies'. The pattern is very simple. A stretchy jumper outfit that will fit many babies. It doesn't need to be perfect. The tension doesn't need to be spot on and the colours can be as wild as you like. In fact you are encouraged to use bright colours as the outfits are unlikely to be washed. So as I looked out on a beautiful view on holiday I decided I would do something I enjoyed. By chance I found a shop that sold wool and needles in the little town we were staying in Italy. It was meant, I am sure of it. The wonders of the internet meant, a quick search online and I had the pattern. I have churned out a couple of outfits now. Don't have pictures of all of them just the last couple. It's satisfying to make something and I know that it is doing some good. It has been great for clearing my mind and relaxing which was just what I needed on holiday with in laws! Do you know how to knit? What project are you most proud of? This is what you get when you say, "no shawls, please."